What are the characteristics of a good window? Windows are not a mere pane of glass attached to a whole in the wall; a good window is much more than that. In our new article, we answer the question ‘What are the characteristics of a good window?’, to find out more, read on!  When it comes to choosing an excellent window, we suggest choosing one where quality is guaranteed, and here at Crown Windows, that is exactly what we offer. Great windows should encompass many great features which we will get into in this article, to find out more, read more! A good window should look good on your home right? Many companies offer custom made windows which are made to your liking to perfectly match your home. With aesthetically pleasing windows you do not have to make compromises and finding the perfect match for your home is easy. There are many types of windows out there that are available in an array of colours, so finding one that sparks your interest will not be a tough task. For many reasons, a good window should be able to keep out the draught. Our Double Glazing in Milton Keynes is perfect to keep the draught out and the warmth in. Draught is a nuisance, and it can lead to many long-term problems such as damp and mould, to completely avoid this, the best thing to do is to get a good quality window, and this will never be an issue! There are many companies out there that are made to refer customers to companies that offer high-quality windows. These companies offer advice on how the find the best yet cost effective companies in the UK and give tips regarding Double Glazing in Milton Keynes as well as many other areas. These companies contain expert knowledge and know how to look out for these companies, so why not take their word for it? Windows are meant to be safe as well as functional. Good quality windows should have superior locking mechanisms to enhance the security of your home; it is recommended that your window should have at least five multi-locking points just to ensure security is achieved. For even more security, there are security glass windows which cannot be broken and there are double glazing window options that prevent the glass pane outside cannot be removed. Double and triple glazing not only keeps your home warm, but they are also excellent at keeping the noise out, as the use of more than one glass pane, and argon gas helps to lock out any unwanted noise. When looking for a window, this feature should not be overlooked, especially if you live in a particularly noisy area. It’s a fact that windows let in light and how much light in your home can affect how your home looks and also has an effect on the mood. The windows should be able to use the light to enhance the beauty of the room, and if you prefer dimmer lighting, there are windows out there that can accommodate your needs. In conclusion, there are a lot more to windows than just a glass pane, and the better the quality, the more you get out of your windows! If you need any advice on window selections, or would like to book a free consultation, please get in touch with our office and our sales manager will happily arrange a survey.